S.S. Bell, S.S. Chand, S.J. Camargo, K.J. Tory, C. Turville, and H. Ye, 2019. Western North Pacific tropical cyclone tracks in CMIP5 models: Statistical assessment using a model-independent detection and tracking scheme. Journal of Climate, submitted November (2018). M. Bieli, A.H. Sobel, S.J. Camargo, and M.K. Tippett, 2019. A statistical model to predict the extratropical transition of tropical cyclones. Weather and Forecasting, submitted March (2019). S.J. Camargo, 2019. Tropical Cyclones, Western North Pacific Basin, in "State of the Climate in 2018", Bulletin of the American Meteorological Society, submitted January (2019). S.J. Camargo, J. Camp, R.L. Elsberry, P.A. Gregory, P.J. Klotzbach, C.J. Schreck, A.H. Sobel, M.J. Ventrice, F. Vitart, Z. Wang, M.C. Wheeler, M. Yamaguchi, and R. Zhan, 2019. Tropical cyclone prediction on subseasonal time-scales. Tropical Cyclone Research and Review, submitted April (2019). T. Knutson, S.J. Camargo, J.C.L. Chan, K. Emanuel, C.-H. Ho, J. Kossin, M. Mohapatra, M. Satoh, M. Sugi, K. Walsh, L. Wu, 2019. Tropical cyclones and climate change assessment: Part I. Detection and attribution. Bulletin of the American Meteorological Society, submitted October (2018), revised March (2019). T. Knutson, S.J. Camargo, J.C.L. Chan, K. Emanuel, C.-H. Ho, J. Kossin, M. Mohapatra, M. Satoh, M. Sugi, K. Walsh, L. Wu, 2019. Tropical cyclones and climate change assessment: Part II. Projected response to anthropogenic warming. Bulletin of the American Meteorological Society, submitted March (2019). I-I Lin, S.J. Camargo, C. Patricola, J. Boucharel, S. Chand, P. Klotzbach, J. Chan, B. Wang, P. Chang, T. Li, and F.F. Jin, 2019. 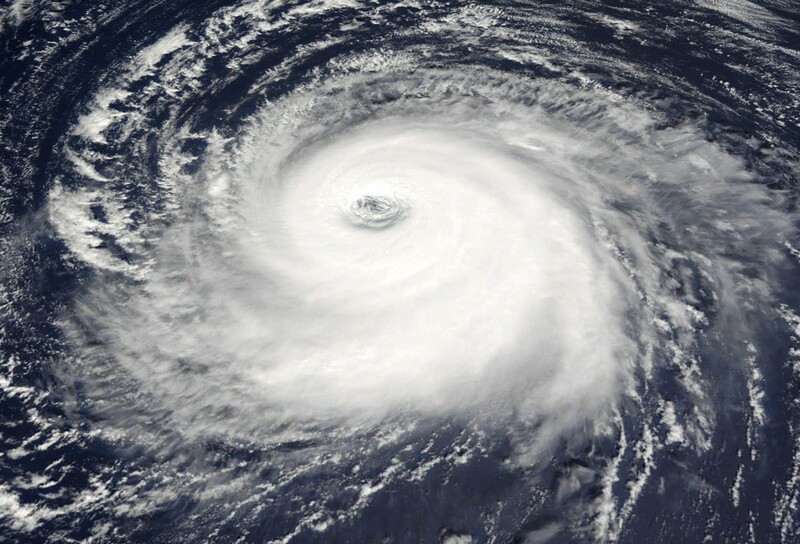 ENSO and tropical cyclones, in ENSO in a changing climate, AGU Monograph, submitted December (2018), revised February (2019). E.D. Maloney, A. Gettelman, Y. Ming, J.D. Neelin, D. Barrie, A. Mariotti, C.-C. Chen, D.R.B. Coleman, Y.-H. Kuo, B. Singh, H. Annamalai, A. Berg, J.F. Booth, S.J. Camargo, A. Dai, A. Gonzalez, J. Hafner, X. Jiang, X. Jing, D. Kim, A. Kumar, Y. Moon, C.M. Naud, A.H. Sobel, K. Suzuki, F. Wang, J. Wang, A.A. Wing, X. Xu, M. Zhou, 2019. Process-oriented evaluation of climate and weather forecasting models. Bulletin of the American Meteorological Society, submitted October (2018), revised March (2019). Y. Moon, D. Kim, S.J. Camargo, A.A. Wing, A.H. Sobel, H. Murakami, K.A. Reed, E. Scoccimarro, G.A. Vecchi, M.F. Wehner, C.M. Zarzycki, and M. Zhao, 2019. Wind and thermodynamic structures of tropical cyclones in global climate models and their sensitivity to horizontal resolution. Journal of Climate, submitted March (2019). A.H. Sobel, S.J. Camargo, and M. Previdi, 2019. Aerosol vs. greenhouse gas effects on tropical cyclone potential intensity and the hydrologic cycle. Journal of Climate, revised March (2019). M. Ting, J.P. Kossin, S.J. Camargo, and C. Li, 2019. Past and future hurricane intensity change along the U.S. East coast. Scientific Reports, submitted February (2019). K.J.E. Walsh, S.J. Camargo, and G.A. Vecchi, 2019. Hurricane Working Group: Fine-resolution climate modeling of tropical cyclones. U.S. CLIVAR Variations, submitted November (2018). A.A. Wing, S.J. Camargo, A.H. Sobel, D. Kim, Y. Moon, H. Murakami, K.A. Reed, G.A. Vecchi, M.F. Wehner, C. Zarzycki, and M. Zhao, 2019. Moist static energy budget analysis of tropical cyclone formation and intensification in high-resolution climate models. Journal of Climate, revised February (2019). S.J. Camargo and L.M. Polvani, 2019. Little evidence of reduced global tropical cyclone activity following recent volcanic eruptions. npj Climate and Atmospheric Science, accepted April (2019). A.H. Sobel, C.-Y. Lee, S.J. Camargo, K. Mandli, K. Emanuel, P. Mukhopadhyay, and M. Mahakur, 2019. Tropical cyclone hazard to Mumbai in the recent historical climate. Monthly Weather Review, accepted April (2019). S.J. Camargo and S.E. Zebiak, 2002. Improving the detection and tracking of tropical cyclones in atmospheric general circulation models, Weather and Forecasting, 17, 1152-1162, doi: 10.1175/1520-0434(2002)017<1152:ITDATO>2.0.CO;2. Link, PDF. Summary in Nowcast, Papers of Note, Bulletin of the American Meteorological Society, 84, 181-182 (2003). M.K. Tippett, S.J. Camargo, and I.L. Caldas, 1998. Modal and nonmodal linear stability of electromagnetic drift-waves, in Topics in Theoretical Physics vol. II, Festschrift for Abraham Hirsz Zimerman, H. Aratyn, L.A. Ferreira, J.F. Gomes, editors, pp. 47-50, Theoretical Physics Institute, São Paulo State University, São Paulo, Brazil.